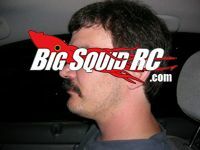 THE Cub Report, 08.31.09 « Big Squid RC – RC Car and Truck News, Reviews, Videos, and More! I don’t buy the rc mags. Am I cheap? Maybe so, but normally I fill up on mags for free at trade shows and races. Today, a good friend of mine told me “You gotta see the new issue of RC Driver!”, so off I went looking for it. RC Driver had been pulled off the shelves of my local Barnes and Noble, Wally Worlds, and grocery stores a couple years ago, but one of my LHS’s used to keep stocking it. I march into that LHS looking to get my hands on an RC Driver, but guess what? Even the LHS stopped carrying it. I live in a very large metro area, and I couldn’t lay my hands on an RC Driver magazine today if my life depended on it. Any wonder magazine sales are down? I did come across the latest issue of Car Action though. I always loved reading product shootouts growing up, that’s why I’ve pushed for more of them not only here at BSRC, but across the entire market of media outlets. Please correct me if I’m wrong, but isn’t it a “weird” coincident that both R/C Car and now Car Action have had shootouts since The Mighty Cub Reporter first announced the BSRC Traxxas Slash LiPo Battery Shootout? To digress, the Car Action shootout of the Traxxas Slash and the Associated SC10 could have been written without ever laying a hand on the trucks. No facts, and all opinions following politically correct stereotypes. Any wonder magazine sales are down? Consumers want the no bullsh!t facts, not more of the “dont’ piss off the advertisers” writing. Horizon released another teaser for a new Losi truck last week. This time they encouraged readers to join the Losi forum to get exclusive clues to what the truck might be. Oh boy, that must have been one suit filled meeting in the Horizon offices to suggest that idea. The internet needs another message board like a hole in the head. A manufacture website should be like a fancy glossy brochure, pretty pictures of hot new product, not a place for every internet commando to sound off on how lame said new product is. Speaking of pictures and magazines- this industry needs some good rc photogs. Handing 10k worth of photo gear to the average magazine guy (or manufacture rep) does not equal good pics. Yes, for sure, getting epic images of speeding lil’ rc cars is not an easy task, but it is possible. And by “epic images” I don’t just mean “clear” photos, I mean photos that positively portray the speed, the g-forces, and the true excitement of our rc’s in action. I can hear the mag photogs laughing at this, but some people do care about the beauty of an 8th scale exploding a berm or a Savage Flux nearly throwing it’s tires off the rims on 6S. So there is a video on You Tube of Horizons Adam Drake jumping his Losi 8 a “record” 144 feet. Then this week, Associated shot out a video of The King Richard Saxton jumping his RC8B a “record” 137 feet. So which one really holds the record? Both were truly burly leaps for sure, and I’d love to see them go head to head in a jump off, Seth Enslow style. I-Hobby perhaps? None of them come close to our video of the Worlds Longest RC Car Jump so I’m not sure how anyone claims the record anyway. Speaking of moto (the Seth comment), congrats to the old man John “Junk Yard” Dowd for this 3rd place overall finish at the AMA motocross national over the weekend at Southwick. The 44 year old Dowd had the biggest smile ever on after beating most of the other riders that were half his age. That’s it for this week, support your hobby, make it out to your local tracks and LHS’s.